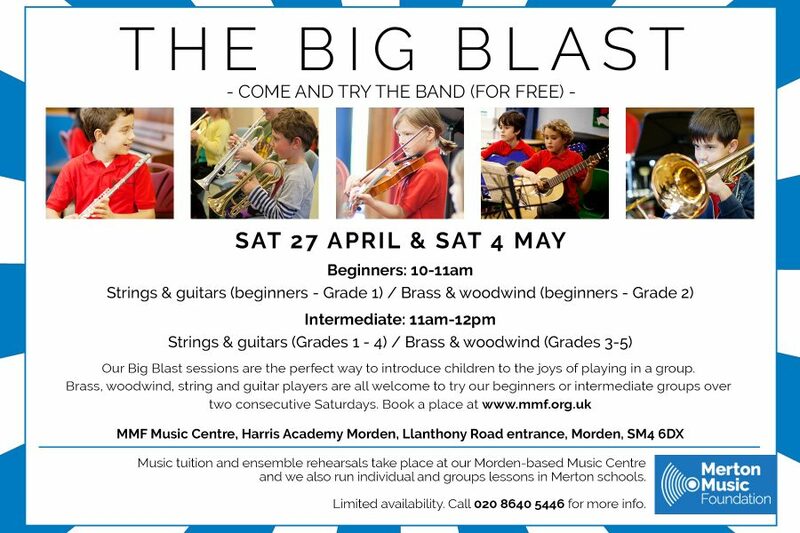 On Saturday 27th April and Saturday 4th May we’re running our popular Big Blast sessions which are the perfect way to introduce children who have been learning their instrument for at least two terms, to the joys of playing in a group. Woodwind, brass, string and guitar players are all welcome to join one of our beginners or intermediate bands and ensembles for both Big Blast sessions. The Big Blast is free to but you need to register for a place using the form below. Your child will be required to attend both sessions. Any other information about your child you would like us to know? A member of our staff will be taking photos and videos of the sessions for promotional purposes. Please indicate if you would be happy for your child to be included.